Hard disks fail. It’s an unavoidable fact of life. No matter how much you might believe it won’t happen to you, the chances are it will, sometime. The best way to protect yourself from the consequences of a failed hard disk is to monitor it and make regular backups. It is good if you have a backup of your important data. However, if you do not make a backup bore, and find the components in your drive are still functioning, you can recover data from the dead hard drive with a separate application, you can download one from Setapp. This service provides 100+ most useful apps for macOS and can be used anytime you need it. 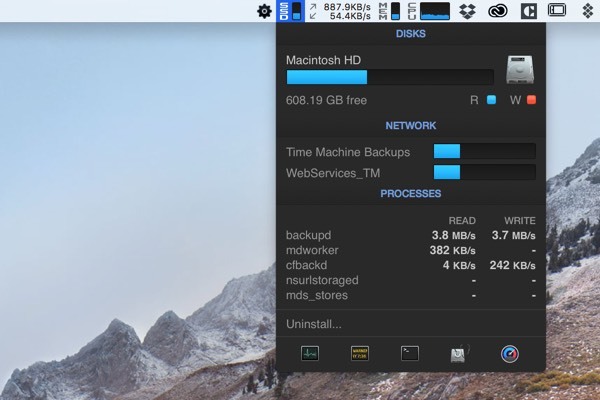 Setapp has two apps that can help you monitor the health of any hard drive. CleanMyMac has a menu bar item that, among other things, reports on the health of your Mac’s main disk, alerting you to any potential problems. The other tool, iStatMenus has a whole raft of performance checks and reports, including the health of your main disk. In both CleanMyMac and iStatMenus, checking the status involves only one click on a menu bar item. Monitoring a hard drive is no substitute for performing regular backups. Setapp has several tools that can do that too. ChronoSync Express allows you to synchronize any folder with a separate disk, meaning you’ll always have a copy of your files even if the hard drive fails. 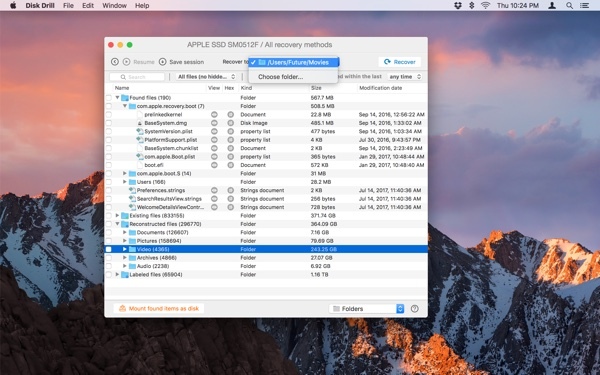 Get Backup Pro, also in Setapp, allows you to make regular backups, archive files or folders, or clone an entire hard drive. Making a backup is the safest and most secure way to prevent the loss of important data in the event of a hard drive failure. And with these great tools available in Setapp, there’s no excuse not to do it. If you don’t have a backup, there’s still hope, however, thanks to Disk Drill. It can scan the failed hard drive and recover any data it finds. Here’s how to use it. If the disk that’s failed is external, you can recover files to your Mac’s main drive. 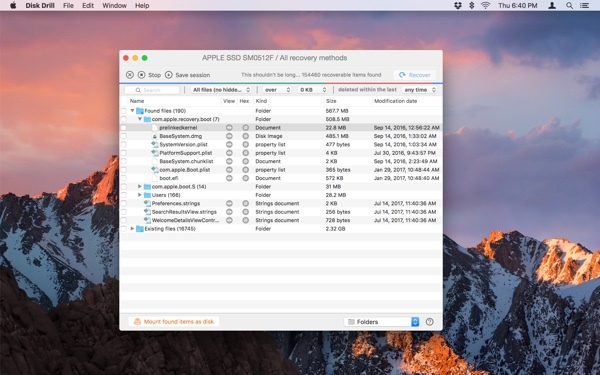 If, however, your Mac’s main disk has failed (in which case you’ll need to startup from an external disk, re-install macOS and then install Setapp and Disk Drill), you should recover data to an external drive. Never recover files from a failed hard drive to the same one that failed. When you’ve decided where to recover files to, and plugged in an external drive if necessary, open Setapp and launch Disk Drill. Click the hard drive that fail and click ’Recover’ to start scanning for data. If the failed drive doesn’t show up, launch Disk Utility in your Mac’s Utilities folder and if it appears there, click on it and click First Aid. When Disk Drill has finished scanning the hard drive, you’ll see a list of files and folders in its main window. If you want to recover everything, you don’t need to review the files. But if you’re looking for a specific data type, you can use the filters at the top of the window to narrow your search. If you simply want to recover every file Disk Drill has found, you can skip this step. If you’re looking for a specific data, you’ll need to preview all the files of that type, since file names don’t survive the recovery process. To preview a file, click on the eye icon next to it in the main window. If the file is an audio or video file, it’s worth listening or watching it all the way to the end to make sure it’s not damaged. The files you checked will now be recovered to the folder you chose. You can preview them, open them, and edit them as you normally would – provided they are not damaged. Disk Drill has two settings that can help in the event of future data loss. 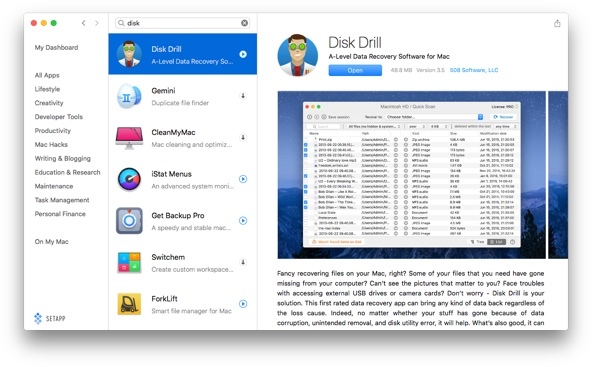 Guaranteed recovery, which makes a copy of every file in any folder you choose, including Trash, and Recovery Vault, which makes a map of data on your Mac in order to help Disk Drill find it if the drive fails. Guaranteed Vault is safer, but uses up much more disk space, since Recovery Vault only saves metadata. Neither of those settings is a substitute for a backup, however. So, install ChronoSync or Get Backup Pro and make a backup of your precious data as soon as possible.